Here’s five great new electropop singles on Spotify. New bands Funsize Lions, Curxes, Torul and Vaylon all show tremendous promise, while Lady Gaga brings synthpop to the masses and provides a global platform for the British talents of Goldfrapp, Hurts and Mirrors. 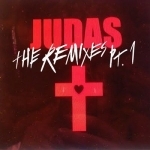 When three of my favourite synthpop bands provide remixes for hyperstar Lady Gaga it’s time to set aside my chart-avoiding tendencies and take a listen. Goldfrapp turns down the BPM, slows the vocals and offers a dirty electro mix; Hurts build on the AutoKratzian flavor of the original, while Mirrors (whose superb debut album is guaranteed a spot in my Top 10 of 2011) provide the best remix by far: their other-worldly remix dubs down the song, throwing away the fluff and reinventing Judas as a minimal masterpiece. 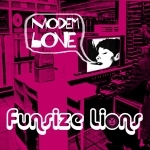 Funsize Lions are a London-based synthpop band with a great ear for a good tune. With a delightfully innocent sense of fun, this EP delivers three short pop songs that showcase their range. Title track Modem Love is my favourite: it’s fast and bleepy, bouncing electroclashy fun like something out of the Banana Splits. Kodak Berlin is an infectious minimal synthpop ballad, while Psychedelic Destination has some frantic motorik drumming to add a flavor of Krautrock. 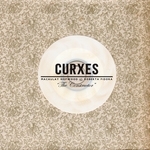 It’s sometimes difficult to judge a band on the merits of just one song, but Curxes debut The Constructor shows heaps of promise. Vocalist Roberta Fidora is one of the most exciting new voices I’ve heard for some time, as she brings a bit of Siouxsie Siouxness to synthpop and gives this Brighton duo an instantly unique sound. With only one track on Spotify I was keen to hear more… luckily there are now four songs up on SoundCloud, including a couple that will be available on Spotify soon. Recently signed to Infacted Recordings, Slovenia’s Torul brings some welcome synthpop diversity to the label. Singing in perfect English, Torul’s vocals ooze style and grab your attention. There are four mixes of Try here: my favorite is the SA-X90 mix. It’s very similar to the original mix but I think it has a little bit extra production polish (and removes the New Order guitars). Thanks to Blackvector for pointing this out! 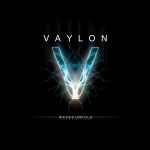 Hailing from Denmark, Vaylon follow the Mode blueprint with varying degrees of success (their recently released album might take a little time to bed in with me). Suffice to say, the single Waves Unfold is a wonderfully catchy number, gliding out of the speakers on a wave of synth. With great crooning vocals and a killer hook of a chorus, Waves Unfold proves that there’s more to Scandipop than just Sweden.